Here you need to choose the formula to find the red dashed value given the solid green highlighted values. The derivation of the equations is shown below. Your goal should be to get twenty correct answers in 2 minutes. The timer starts as soon as you choose your first formula. This is the first step in solving a triangle. You could then use other formulas for finding additional values using your new known values to get all six values of a triangle. In this activity an unknown angle is 'C' and an unknown side length is 'c'. 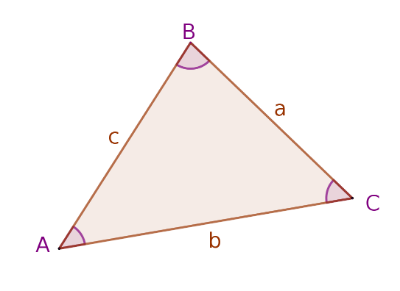 The other sides are 'a' or 'b' and other corresponding angles are 'A' or 'B'. 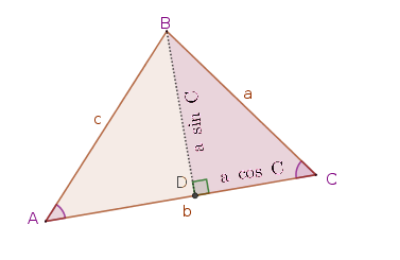 Solving Oblique Triangles Solving a triangle means to find lengths of sides and interior angles of a triangle given some of the triangle side lengths or angles. 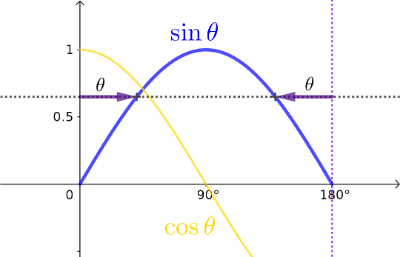 For a right triangle you can use the definitions of the trigonometric functions, but without a right angle you need to use the Law of Sines, Law of Cosines or Interior Angle Sum. Generally, you need to know three parts of the triangle to find the others. 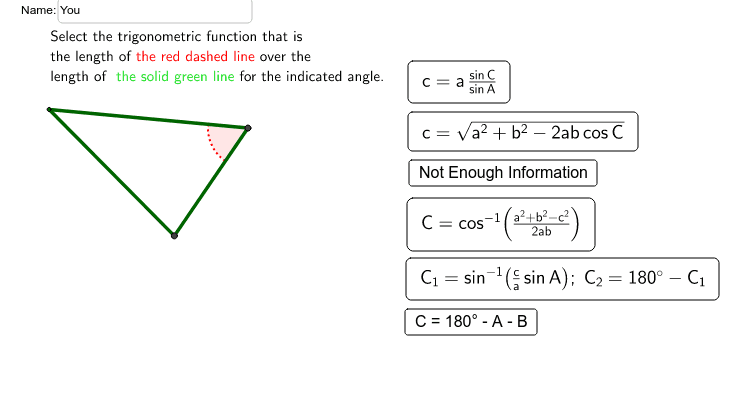 In this applet the known parts are highlighted in green while the part to find is highlighted with red dashed lines. A part can be the measure of an interior angle the the length of a side. Part Labels To identify parts of an oblique triangle lower and upper case letters a, b and c are used. A lower case letter represents the length of a side while an upper case letter represents and interior angle. Also, the angle 'A' is opposite the side 'a' as are the other angle side pairs. 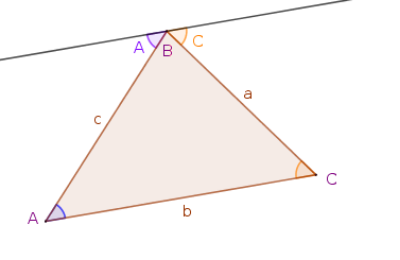 This is shown as the triangle ABC below.
. Drawing the perpendicular line to the other sides results in similar equations. as another possible solution. For these triangles it should be obvious which solution to keep. and you have the Pythagorean Theorem. 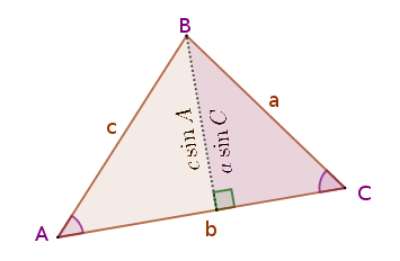 You use the Law of Cosines when you know two sides and the angle between them to find the length of the side opposite the angle. Or use it when you know the lengths of all three sides to find the angle opposite any one of the sides. For this activity the unknown side will be 'c' or the unknown angle will be 'C'.
. This can be shown by drawing a line parallel to one side through the opposite vertex. Since opposite interior angles between parallel lines are congruent it can be seen that the angles A+B+C add to a straight line or 180o.